More charges against "individuals and entities" are being considered as investigations into allegations of corruption within Fifa have expanded, says US attorney general Loretta Lynch. 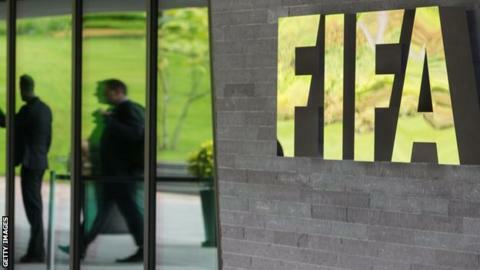 In May, 14 Fifa officials and sports marketing executives were indicted in the US on racketeering charges involving more than $150m (£97m). "Substantial evidence" has been gathered so far, according to Lynch. Properties in the Alps have been seized in a separate Swiss investigation. The US authorities are working closely with their Swiss counterparts, and held a joint news conference in Zurich to provide updates on their respective investigations into world football's governing body. "The scope of our investigation is not limited, and we are following the evidence where it leads," said Lynch. "I am grateful for the significant co-operation and substantial evidence that we have received from all quarters." In June, Fifa president Sepp Blatter announced he would resign less than a week after he was re-elected, saying "his mandate did not appear to be supported by everyone". Lynch would not say whether Blatter, 79, is a target of the US investigation. The Swiss investigation is looking into bids for the 2018 and 2022 World Cups, to be held in Russia and Qatar respectively. "Loretta Lynch came to Switzerland with a very clear message: the criminal inquiry hanging over Fifa and world football is far from over." Swiss attorney general Michael Lauber said 11 terabytes of information had been seized "so far". He added that 121 different bank accounts had been brought to the attention of the investigating task force, and said they were "not even at half-time" in their investigation. Lauber confirmed that Swiss prosecutors will also investigate a Fifa contract for media rights to the 2010 and 2014 World Cups.